TR Disposal Service (formerly Przybylski Services) is a local family owned dumpster rental service company in Pulaski WI. It is owned and operated by Chad and Laurie Przybylski along with the family. It was established in 2007 to help customers have an opportunity to rent small, affordable sized roll-off dumpsters and garbage containers for their garbage removal needs. 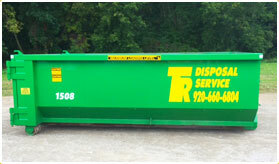 We went into the business and focused on user friendly-sized dumpsters that other waste companies do not offer. 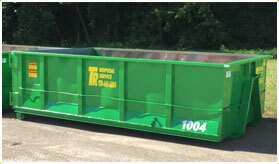 We specialize in 10, 15 & 20 yard open top roll off dumpsters. Our single axle trucks that haul the 10, 15, & 20 yard open top roll-off dumpster can fit these little units nicely in your driveway, garage, or yard for whatever project you may have from roofing, remolding, new construction, house clean out, scraps and more. 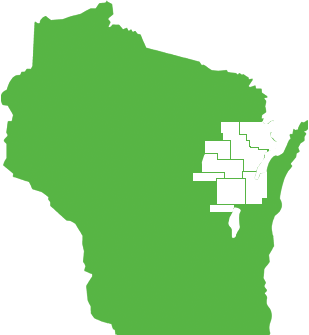 TR Disposal Service Areas include all of the Fox Cities / Fox Valley and greater Green Bay area including Shawano, Oconto, Bonduel, Kaukauna, Kimberly, Little Chute, Cecil, Red River, Gresham, Greenville, Appleton, Black Creek, Hortonville, Neenah, Menasha, Darboy, Oconto Falls, Grand Chute, Freedom, New London, Green Bay, Howard, Chase, Ashwaubenon, Abrams, Pulaski, Krakow, Zachow, Green Valley, Oneida, Hobart, Seymour, Freedom, Wrightstown, Suamico, Gillet, Little Suamico, Crivitz, Clintonville, Marion, Pound, Coleman, Lena and Beaver. 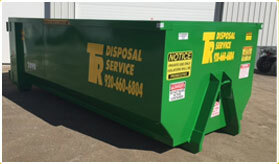 Thank You for your interest in TR Disposal Service. To learn more about how we can assist you please contact us.